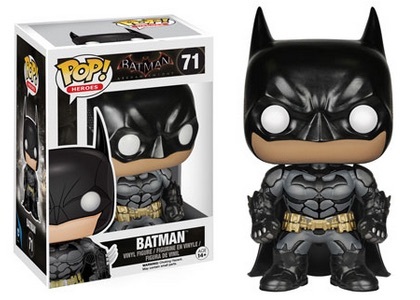 2015 Funko Pop Batman Arkham Knight sees the Caped Crusader return with new vinyl figures. The set covers the popular 2015 video game Batman: Arkham Knight. 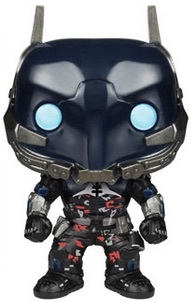 Three villains join Bruce Wayne's alter ego in the Funko Pop Batman Arkham Knight. This includes regular foes Harley Quinn and Scarecrow, as well as the Arkham Knight, essentially the antithesis of Batman. If several of the figures look familiar, it is because 2014 Funko Pop Batman Arkham Asylum pays homage to the earlier video game release with several figures. 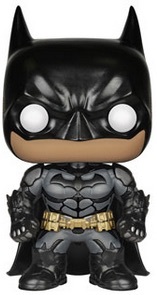 Also, Batman already has several Pop! figures from various releases. 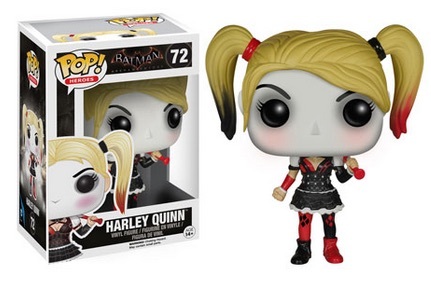 While Batman and Harley Quinn sculpts return in Funko Pop Batman Arkham Knight, they each have a new design. The Quinn figure is the only option to feature an accessory as she sports a colorful baseball bat over her shoulder. 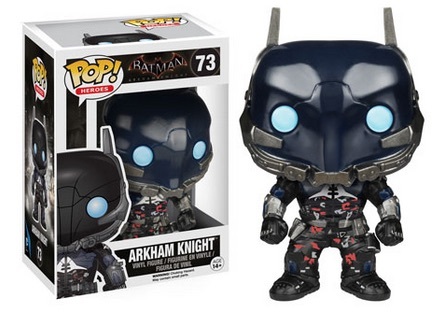 2015 Funko Pop Batman Arkham Knight vinyl figures are numbered as part of the Pop! Heroes line and measure approximately 3-3/4" tall. Funko POP! 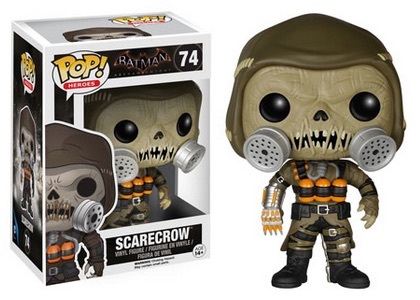 Batman Arkham Knight #73 & Scarecrow #74 Hard To Find!